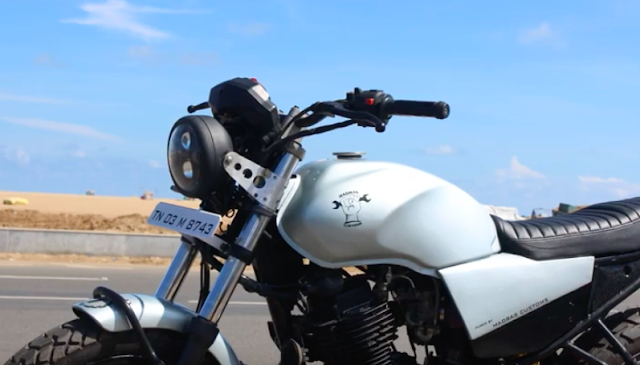 We have seen various bike modifiers coming up with Yamaha FZ as scrambler type. The bike promises the modification range to the modifiers because of strong base. 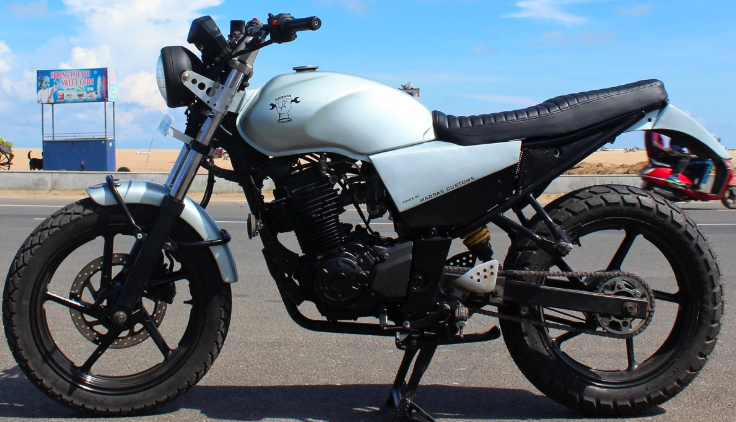 Today also we are featuring another FZ Scrambler which is built by Madras Customs. The bike has ribbed seat just like the other international Yamaha bike. Seat is raised from the rear end. They have fitted brake LED strip below the seat. 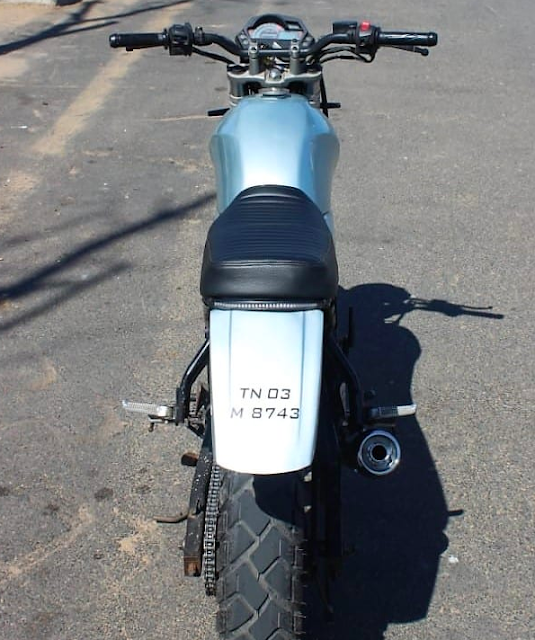 Rear fender is sticked to the below the seat for the actual scrambler look. They have used the commuter bike fuel tank. Side panels were replaced with small ones. Custom free flow exhaust is used instead of the stock. Round angle eye Headlight is used. Overall it is decent modification.